Our dental practice is privileged to have a team of well qualified, gentle, and caring staff members. Our staff members remain up-to-date with dental procedures and technology through frequent continuing education courses. We are committed to making your dental experience as pleasant and as satisfying as possible. A native of Miami, Dr. Jennifer Lopez received her Bachelor’s Degree from Florida International University and her DMD degree from Nova Southeastern University. After graduation, Dr. Lopez went on to complete a General Practice Residency at Loyola University in Chicago, IL. Dr. Lopez returned to her hometown upon completion of her residency and has been in practice since. She enjoys performing a wide-range of dental services from fillings to prosthetics, implants, cosmetic and sleep apnea cases. 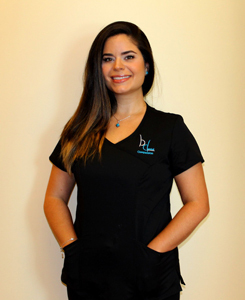 She is an active member of American Dental Association, Florida Dental Association, South Florida District Dental Association and several study clubs throughout South Florida. As a healthcare provider, nothing brings Dr. Lopez more satisfaction than formulating a unique treatment plan tailored to each patients optimum oral health and systemic health. She is passionate and loves making a difference in people’s lives by improving their smile and overall health. Dr. Lopez enjoys being active in the outdoors, spending time with her family and her pet Chihuahua, Penny. Cristi has been the office manager at Beaufils Dental for over 20 years. She is committed to providing the highest quality of service to our patients. She is a very compassionate person and displays that compassion with our patients and our staff. Cristi graduated with a degree in Business Management from FIU. She is fluent in English, Spanish, and French. Cristi is happily married with 3 very active boys. In her free time she enjoys cooking, trying anything that has chocolate in it, and spending time with her family. Greicy is our head Dental Assistant with over 8 years of experience in the dental field and has been part of the Beaufils Dental team since 2014. She assists our patients in improving and maintaining all aspects of their oral health; treating every person who walks through our door with warmth, genuine concern, humor, and honesty. Originally from Venezuela, Greicy has developed a passion for traveling the world – a few of her favorite countries include France and Spain. She hopes to continue to learn more about the world and grow her knowledge and experience within the dental field. 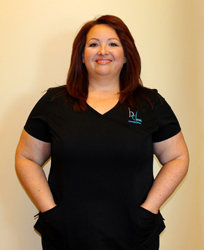 Cristina is our newest member and is a Certified Dental Assistant. Cristina not only exudes but also constantly promotes positivity in her daily life especially with every person she interacts with. She is passionate her job and makes it a point to ensure a pleasant, comfortable experience for all of our guests while also teaching them about oral health. Originally from Venezuela, she is a General Dentist with a Masters in Pain Management – a great help for patients. On her free time, Cristina enjoys traveling, going to the movies with her husband and enjoying time with her beautiful one year old daughter. Stefanie is our Patient Coordinator. She has over 18 years dental experience and enjoys helping patients achieve a beautiful smile by exploring all their treatment plan as well as financial options. Stefanie is happily married with four beautiful children. When not in the office, she enjoys getting lost in the words of a book, fishing and traveling to Key West where she is originally from. Kimberly graduated as a Dental Assistant in 2015 and is the team member who all of Beaufils Dental’s patients first interact with. She enjoys and focuses on providing quality dental information and assisting in scheduling patients for their procedure. She is very compassionate with her patients, and always aims to think and speak a language her patients will understand when it comes to guiding them towards the importance of a healthy mouth. Kimberly is originally from Colombia, and fluent in both. Spanish and English. On her free time she enjoys traveling, going to the beach and spending time with family and 1 year old son . Jennifer was born and raised in the city of Miami, Florida where she graduated from Miami-Dade College’s Dental Hygiene Program in 2005. 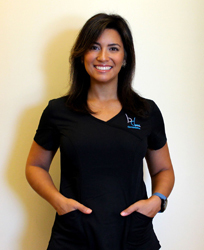 As a hygienist, her passion has become to help educate her patients not only with dental care that will last and benefit a lifetime, but in maintaining overall health. Jennifer always found going to the dentist interesting and fun, making it the reason she prides herself in making sure every single patient feel as comfortable as possible the moment they sit in the chair. In her spare time she enjoys festivals, arts and crafts, baking, outdoor activities, traveling, and spending quality time with family and friends. Anthony is originally from the Dominican Republic, where he graduated from dental school. He then moved to Connecticut and earned his degree from FONES school of dental hygiene, University of Bridgeport. Along with his team, Anthony always strives to give our patients the best care possible. He does a fantastic job of making patients feel comfortable, and he enjoys educating and making a difference in our patient’s oral and overall health. In his spare time Anthony enjoys going to the beach with his wife and daughter, as well as working out at the gym. We are always looking for innovative, talented, and energetic people to be a part of our continuously growing office. If you would like to join our team, please email your resume to Cristi at or [email protected].